The YMCA is more than a gym. It's a community. Meeting new friends, gaining the support you've always wanted, and finding inspiration in others is what we're all about.If you have a story you want to share, pass it on! Simply contact our Digital Media Specialist, Alyssa Modos, with all leads. 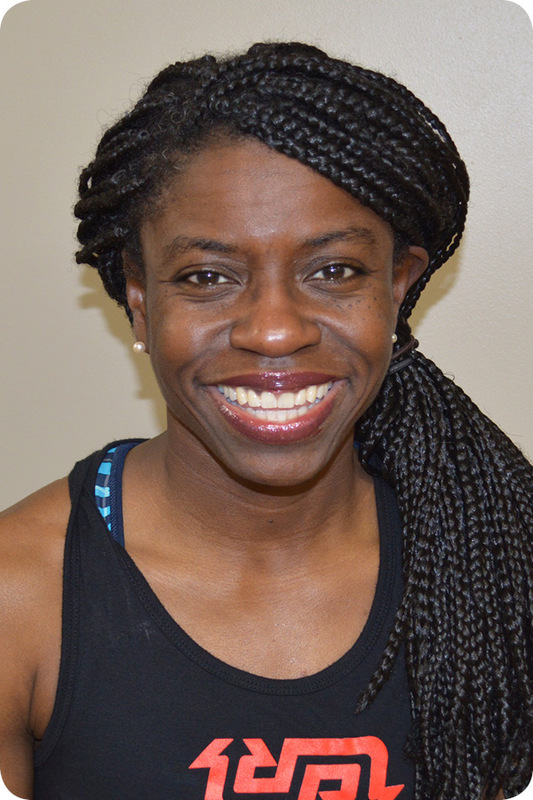 As a personal trainer and fitness instructor with the Y, in addition to being a professor for IU, Priscilla Barnes knows how to move you. With all of her training, she knows exactly what to do to make her class participants move faster, jump higher, sweat more, and love doing it. But when the Group Ex instructors were all encouraged to raise funds for Y For All through sponsorships of the annual Fit Fest event, Priscilla was reluctant. She was even a little fearful, at first, to ask friends, family members, and strangers for a financial contribution. There was some uncertainty about how to present the information and a desire to not come across like a salesperson, but she did it anyway. “I stepped out of my comfort zone because I was amazed by what a donation could provide for a child or an adult who were unable to participate in Y activities and services. Sharing this information with my sponsors made a difference because they knew how their financial contribution was going to help our community! My uncertainty about fundraising quickly dissipated, especially when you live in a compassionate and giving community. Our organization is very blessed to have amazing instructors and participants that want to do better and be better – mind, body, and spirit. I want to be a part of this experience every chance I can get!" Janet Bell is one of many impacted by Y for All financial support. Janet, 80, is extremely grateful to be part of the Y family. She has been coming to the Y three to four times a week since 2003! 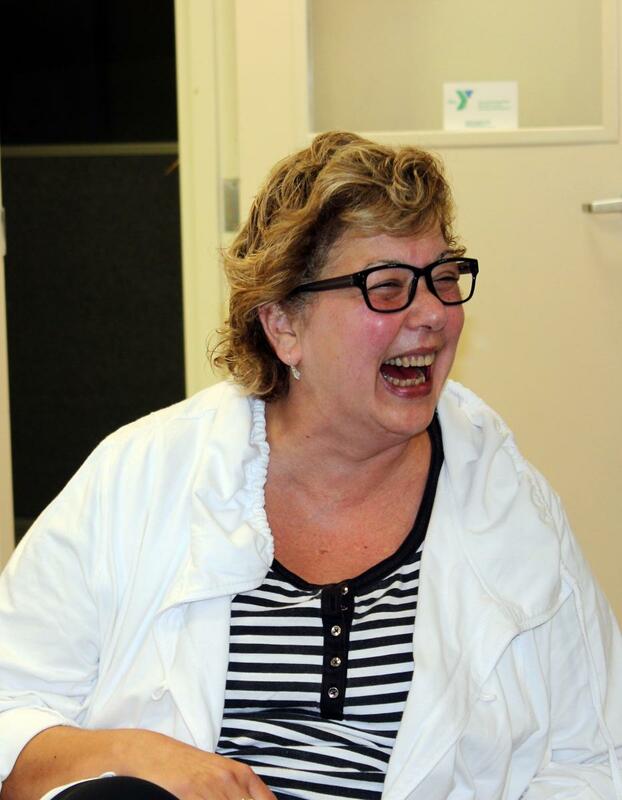 Janet believes the time spent at the Y has been essential to her well-being. 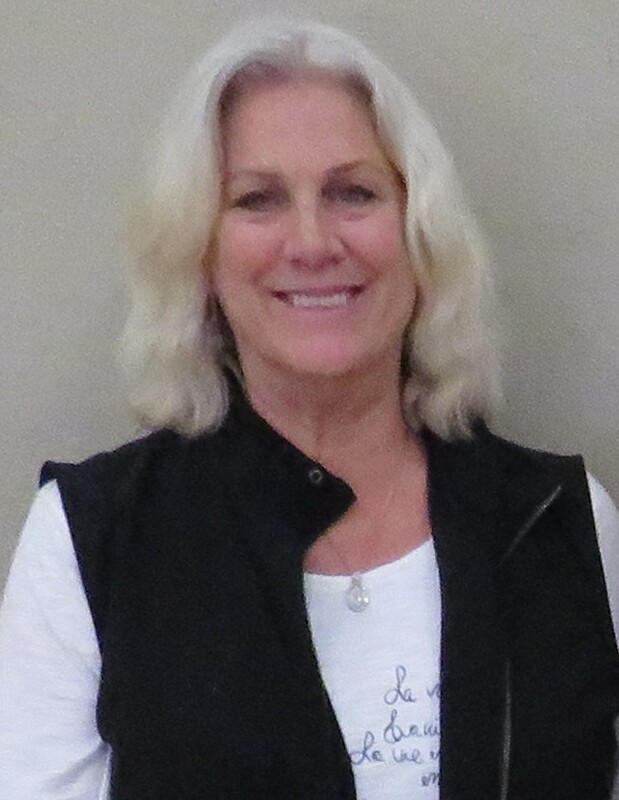 Her membership keeps her moving, feeling young, and has helped in forging several close friendships. Because of generous contributions to the Y for All Campaign, Janet is receiving the support she needs to live her best life. Misty Campbell has always considered the Monroe County YMCA home. As a small child, she would visit the Y every morning with her mother. As an adult, she served as a staff member at the Gymnastics Center. Now, she spends her time at the Y with her daughter, Liberty. Not only has the Y given Misty better health and inches lost, but a place to watch her daughter grow in confidence. 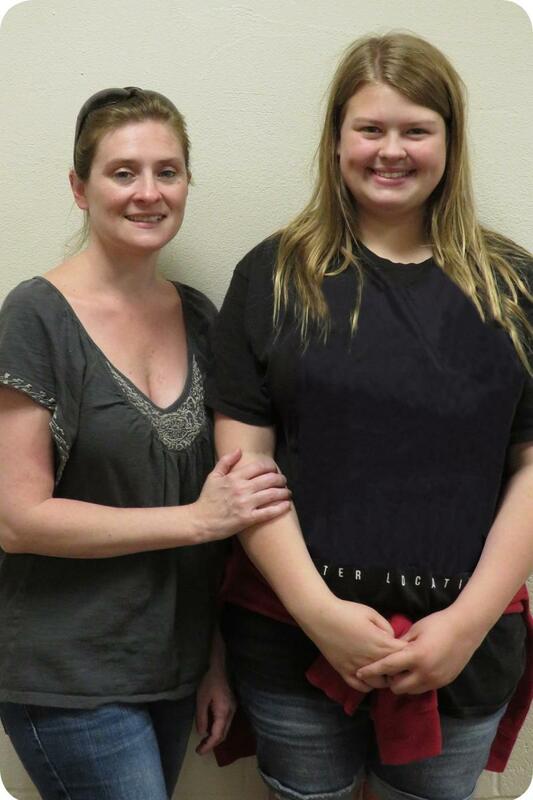 Because of the generous donations made to the Y for All Annual Campaign, Misty was able to enroll her daughter in the Tiger Sharks Swim team. It was her involvement with the team that Misty began to notice positive changes in Liberty. Four years ago, half of Joe Ferrerio’s body was paralyzed, and he was blind in one eye. He had a fall that caused a subdural hematoma—bleeding outside of and around the brain—and he was told by his doctors that he had just one year to regain the mobility he had lost. “At my age, you sit in a wheelchair and be depressed; no creativity and no confidence, that’s for sure. Margie has given me the opportunity to get better. [The Y has given me the opportunity to get better by providing me with financial assistance] for the classes that saved my life, as a matter of fact. That’s it. If I weren’t here, I’d be stuck in a chair, depressed, grouchy… and it doesn’t work like that. There’s something to look forward to; the rainbow is there, not the clouds. For many aging adults, finding the right form of exercise can be a challenge. With increasing joint pain, as well as weaning flexibility and agility, exercise can feel limiting. At the Monroe County YMCA, we believe water exercise is the solution for older adults who desire an active lifestyle. Four years ago, Ellie O’Connor had been in the hospital for open heart surgery. 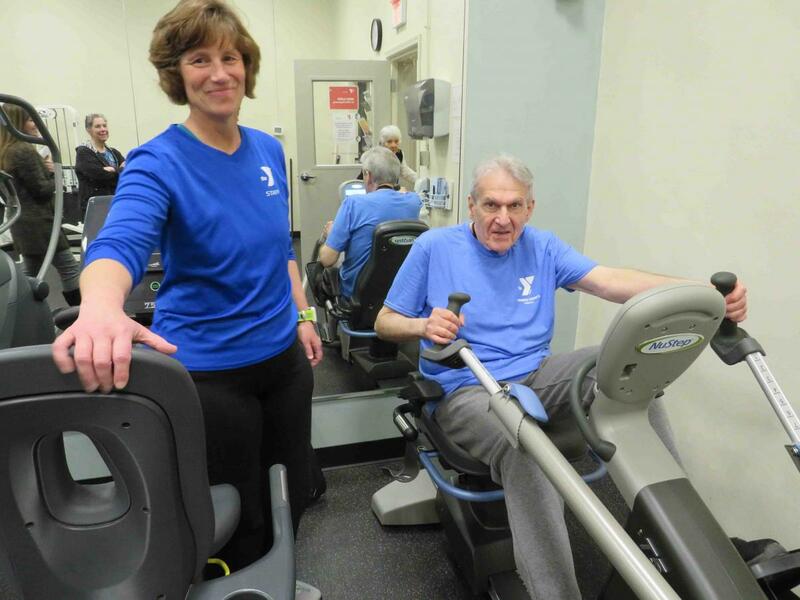 When her cardiac rehabilitation with IU Health ended, her doctors recommended that she become a member of the YMCA to continue her recovery in our Cardiac Rehab class. Little did Ellie know, that recommendation would change her life. Ellie shared that “at 72 years old, [she has] never felt better in [her] life [when it comes to] moving.” She also shared that two of the most significant benefits of participating in our Healthy Lifestyles programs are the “circle of friends and support” that are gained. Moving for a Healthier You provides a “good support system,” which can have an incredible impact on life as an aging adult. Shari Smith knew something had changed with her body. Doctors weren’t so sure she was right. After multiple doctor visits, tests, placebos, and mislabeled diagnoses, Shari finally learned what had been affecting her body for so long: cancer. Small lymphocytic lymphoma had formed in a number of her lymph nodes, creating bone pain, weakened strength and a 17 ½ centimeter mass sitting on the nerve bundle that supplied the left leg the nerve stimulation required for everyday walking. Cancer treatment helped bring back the stimulation, but after two years, her balance had been left at bay. That’s when Shari knew she needed the Monroe County YMCA. She applied for Financial Assistance hoping to become a member, but unfortunately the Y had already dispersed the funds for the year. That’s when Margie Kobow, Active Lives Program Director, stepped in. Before she knew it, Shari was a member of the Y, with the assistance she needed. Margie’s generosity didn’t stop there. She met Shari in the pool many mornings because the pool was where Shari felt most comfortable after competitively swimming the majority of her early life. Slowly but surely, Margie helped Shari feel more balanced, not only in the pool, but back on land as well. Out of the pool, Shari began participating in Building Better Balance, a class Margie taught. When Shari first started participating, she stood, as a 56 year-old who appeared physically healthy, surrounded by those who had endured hip replacements, major falls, and ailments that come with old age. She asked herself if it was fair to be in the same class. Margie assured her that as long as she gained benefit, then that’s enough. Within a year, the class became more of a support system. Shari celebrates the comradery in every class. “Everyone embraces everyone for their success. It’s inspiring to see other successes as well as revel in your own.” Shari admits that she would find herself texting Margie the day after a class and admitting to feeling stronger than the day before. That’s enough to keep her participating in the program.